Working at a storage facility, we are never at a loss for interesting stories. Perhaps it is because most people seeking storage are in the midst of a life change. It can become very emotional when they are forced to separate from their special treasures. At LockTite Storage, we pride ourselves on being understanding stewards of these beloved belongings. Whether buying and selling houses, preparing for empty-nesting, storing a big surprise or helping an elderly family member in transition, our clients soon become our friends as we help them along in their journeys. Over the years, one story continues to pull at our heartstrings. After becoming foster parents and navigating the child welfare system, Dripping Springs resident Chrystal Smith and her husband saw a need for basic emotional and financial support during the process. “We wanted to create opportunities for the community to be a ‘village’ of support to these vulnerable and underserved children and families,” says Chrystal. They created Foster Village, a non-profit organization dedicated to meeting basic needs, providing therapeutic support and promoting community engagement. Foster Village quickly took off. Within months, a steady stream of donations poured in. 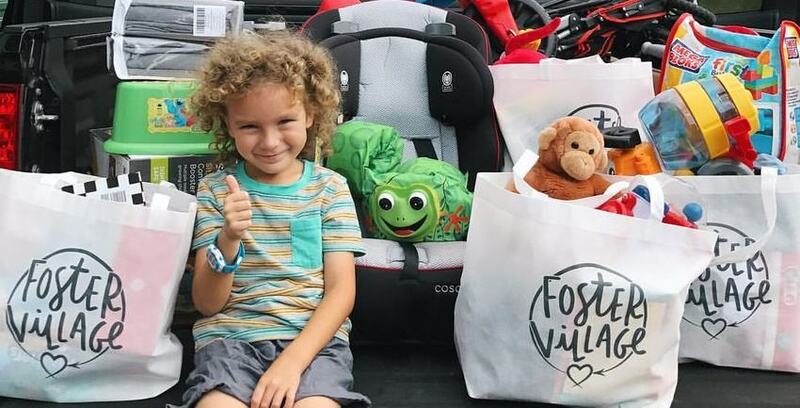 From car seats to clothing, baby backpacks to basic toiletries, the items rapidly piled up. That’s when Foster Village reached out to LockTite Storage for help. Foster Village quickly reached capacity in the small unit and moved to a larger space that is intended for RVs. LockTite Storage Senior Manager Dee Marsh was thrilled at the chance to offer a helping hand. Through the generosity and support of businesses and volunteers, Foster Village has expanded its reach to cities across Texas. There are even plans to develop chapters in other states. But the true testament to its success comes from the foster parents themselves. If you are interested in joining Foster Village through volunteer work or donation, please visit http://www.fostervillage.org.